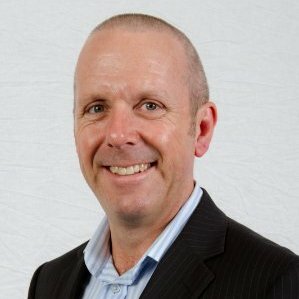 The founder and managing director of proCFO, David Officen, is an experienced accountant and Chief Financial Officer who has extensive practical knowledge of strategic financial planning, budget preparation and monitoring, bookkeeping, and the creation and monitoring of Key Performance Indicators (KPIs). David has experience working in a variety of industries, including mining, manufacturing, construction, retail, telecommunications and real estate services. He’s worked in major corporations like Qantas, Alinta Gas and the South Australian State bank, and holds a Bachelor of Business (Accounting & Information Systems), and has both a CPA and an MBA qualifications. David has created an innovative way of doing business, that makes things easier for our clients. Many of our processes are automated, meaning less time is wasted in meetings and in the delivery of financial documents. The system is automated and relies on cloud-based software, usually XERO, to provide a link between your business and our accountants. The transition from basic accounting software such as MYOB is simple and holds many advantages – proCFO – Perth can provide consultation throughout this process if necessary. We have a team of CPA-qualified accountants, who can assist with a range of services including bookkeeping, management reporting and business improvement ideas. Additionally, we can provide many other value-adding services including strategy development and the creation of KPIs, to ensure your business is identifying opportunities that are relevant and realistic. proCFO in Perth has excellent flexibility and can vary the service level, depending on your unique needs. We consider your business’ size, life-cycle and financial position. Whether your business is growing, winding down or going through a rough patch, our services have the kind of flexibility that traditional CFO services do not provide. proCFO believes in giving back so we have partnered with B1G1 – Business for good.